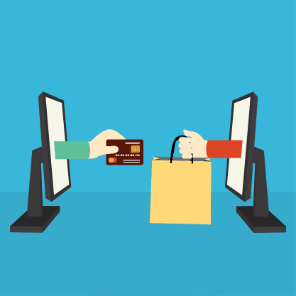 E-Commerce has created a wealth of opportunities for mid-market companies. The mantra of mid-ranged companies is to grow and keep your customer base by delivering on time and providing excellent customer service. E-Commerce brings "large company" advantages to sales, marketing and service activities: it can deliver access to global markets and lower the cost of building market awareness. E-Commerce can also power new efficiencies in procurement, providing leverage with larger, more powerful suppliers and reducing transaction costs through integrated vertical marketplaces. M@ERP System uses a robust suite of integrated Microsoft-based e-business products allows mid-range companies to harness e-business solutions to gain marketshare and increase profits. M@ERP provides products and services using top-of-the-line software to provide a sound, scalable, comprehensive e-business suite enabling midmarket companies to help customers online, augment the internal and external sales channels' success, and command the buying power of E-Commerce. The software, services and supporting architecture are designed specifically for e-business initiatives of mid-ranged companies, ensuring a definite return on investment, lower total cost of ownership and lower deployment risk.